Just last week, I received the new Sangean ATS-405 on loan from Universal Radio. Though I’ve only had the radio for a week, I thought I’d share a few un-boxing photos (by request) and my initial impressions/review of this radio. 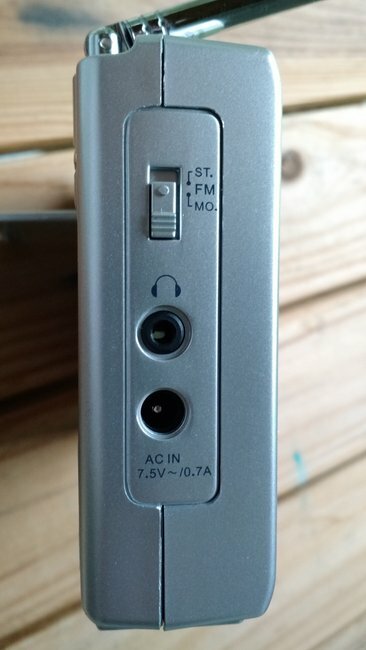 The ATS-405 comes with a thick owner’s manual (in five languages), a 7.5 volt AC adapter, and a soft radio case. The package does not contain rechargeable batteries nor a clip-on wire antenna (like many Tecsun products do, for example). Overall, the packaging accommodates the radio and accessories efficiently and would probably ship safely even if the carrier doesn’t handle it with particular care. 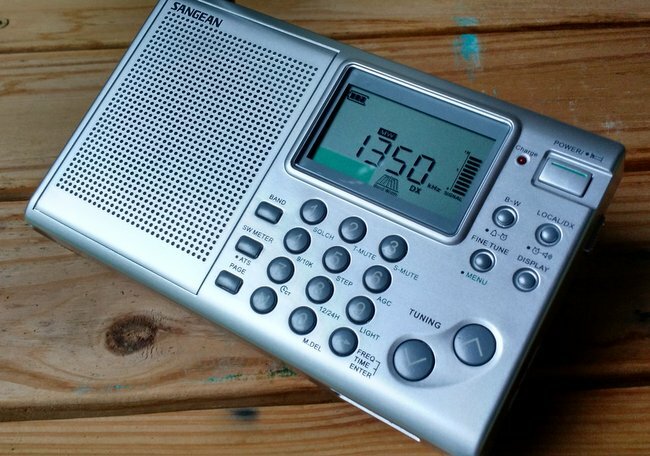 The first thing I noticed about the ATS-405 is the near-identical design and layout Sangean has used in their design of past shortwave radios. If you’re a Sangean fan, you’ll find all of the functions, buttons, and labels pretty much in the same place; virtually no learning curve. Like most Sangeans, the display is crisp, clear and can easily be read straight-on or at low angles, like when the radio is resting on its back stand, for example. If you look at the display from a higher angle, however, you’ll find that the LCD digits nearly disappear. Back-lighting is perfect: it’s soft and consistent across the display, very much like the ATS-909X. Audio from the internal speaker is good. It’s in the same league with most similarly-priced competitors. On a positive note, I believe FM performance is quite good. Perhaps not in the same league with my PL-660 or PL-680, but still the Sangean offers above-average sensitivity. 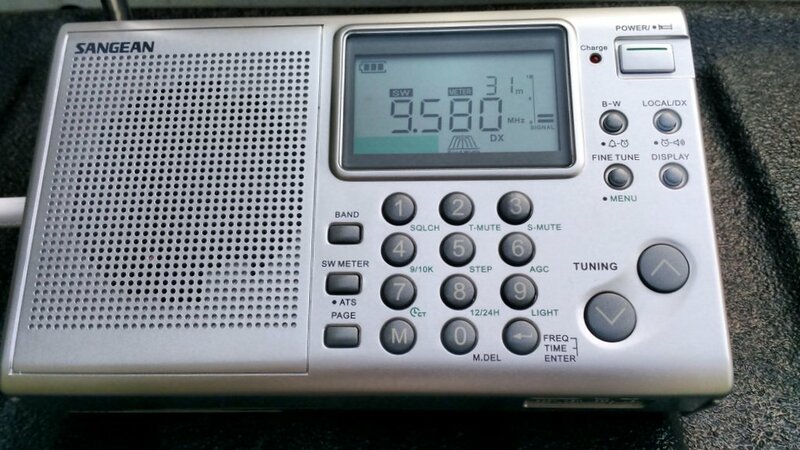 I was able to pick up my distant benchmark FM stations with ease, though to help with the signal lock, I had to switch from stereo to mono reception. AM reception is a bit of a mixed bag. I find that the ‘405’s overall sensitivity and selectivity are quite good for broadcast band listening. When I first tuned around on the AM broadcast band, however, I found the noise floor a little too high. Regardless of whether I was tuned in to a station or not, there was an ever-present high-pitched hiss, like static. It was quite disappointing, especially since I read a review by Jay Allen that really complimented the AM performance on the ATS-405. But the wide setting is really too wide, and was certainly the source for the bulk of the high-pitched hiss I heard. The best filter setting for most broadcast band listening is the middle position, which sounds like a 5-6 kHz filter. In the middle position, noise is decreased significantly. I also believe selecting the “music” audio tone setting helps dissipate some of the noise. 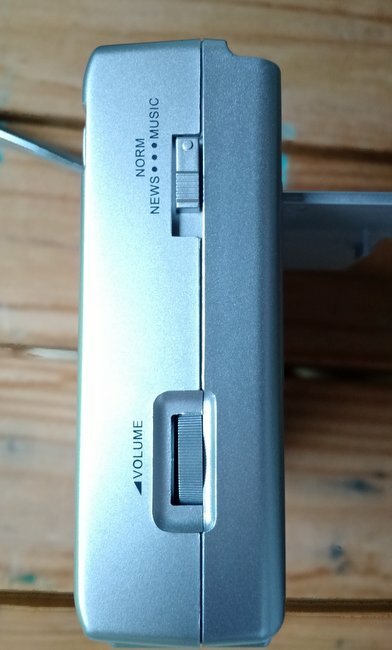 Regarding the noise floor: to be clear, I still feel like the noise level is slightly more noticeable, to my ear, on the ATS-405 than on the PL-660, PL-600, and PL-310ET when band-scanning or weak signal listening. This is most likely some internally-generated noise that somehow still meets Sangean’s engineering spec. Local AM stations sound fantastic, and the ATS-405 can detect all of my benchmarks. AM audio fidelity is better than that of my PL-660 and, even, PL-310ET. When locked on a local station, the noise floor also seems to disappear. For some reason, I even find that the ATS-405 does a better job receiving local AM stations from indoors–even near noisy electronics–than other sub-$100 portables with which I’m familiar. The most disappointing discovery I made on the Sangean’s AM broadcast band is that it has DSP birdies. Birdies are internally-generated noises resulting from the outputs of the oscillators that form part of the DSP receiver circuit. While almost all receivers do have birdies somewhere in the receiver’s reception range, radio engineers try to keep them out of the way of the important parts of the band. The ATS-405’s birdies almost sound like a jamming signal on 1600 kHz. Indeed, if this station were only located on a different frequency, I’m sure it would be quite audible on this radio…too bad. Birdies on 800 and 1600 kHz may very well be deal-breakers for many of us. Again, since one of my favorite regional independent broadcasters is on 1600 kHz, it’s a deal-breaker for me. Jay specifically mentioned a lack of birdies on the AM broadcast band in his review. It could very well be that he doesn’t hear them on his particular receiver–variations in quality control on a radio production line are certainly a real phenomena (the Grundig G3 is a case in point). This could indicate that some units may have pronounced birdies while others don’t. If you purchase an ATS-405, I would check to see if your unit has birdies after powering it up. When I contacted an engineer for Sangean North America, and described my listening experience, he confirmed that he believed these are, indeed, DSP birdies. 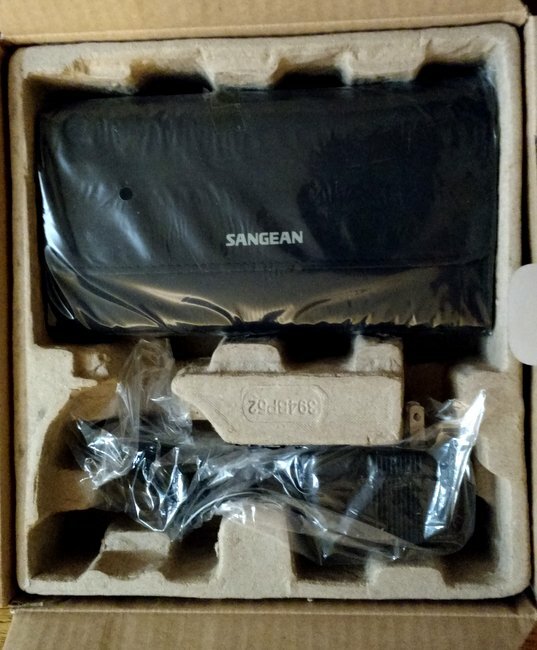 I may ask Sangean if they can send another ATS-405 for comparison. On a more positive note, I checked harmonics in the HF/shortwave bands and heard no DSP birdies there. 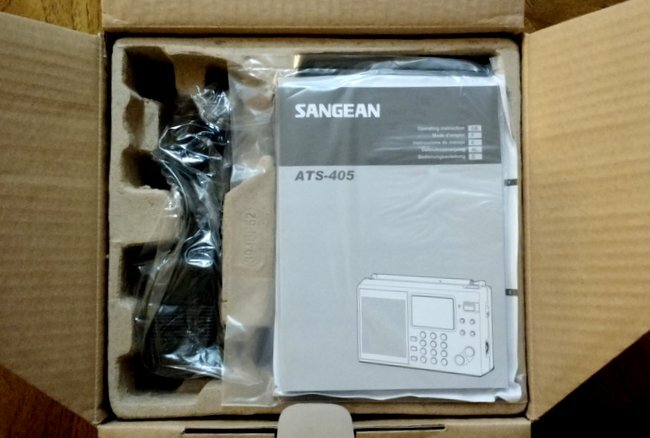 One additional question I posed to Sangean: where is the ATS-405 made? One reader told me the radios are produced in both Taiwan and China. Thinking variations in quality control may be accounted for by two different production lines, I checked my radio to see where it was made. Unfortunately, my unit has no mention of country of origin; not on the radio, the box, the manual, behind the battery cover, nor on the back stand. 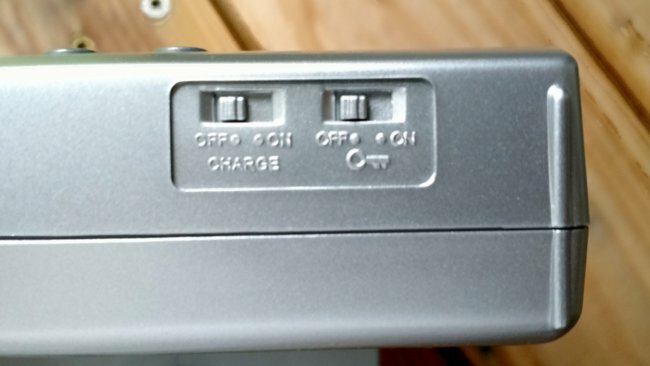 It’s possible it could be marked internally, but I didn’t want to take apart a receiver I’ve been loaned. Not a big surprise here; I expected China was the country of origin. To sum up AM performance: if you aren’t bothered by the birdies on 800 and 1600 kHz, or if your unit isn’t producing them, you’ll find the ATS-405 a capable little AM broadcast band receiver. Our HF propagation conditions since last Friday (when I first turned on the ATS-405) have been poor. Other than a few short band openings, I’ve struggled to hear anything other than the normal blow-torch broadcasters we hear in North America. Still, bad propagation conditions are actually good for reviewing some aspects of a shortwave receiver, so I used the opportunity. In terms of sensitivity on the shortwave bands, I think the ATS-405 is mediocre. It lags behind my Tecsun PL-660, PL-600, PL-310ET, and CC Skywave. Adding a clip-on wire antenna to the telescoping whip (there is no aux antenna port) does help in terms of sensitivity. 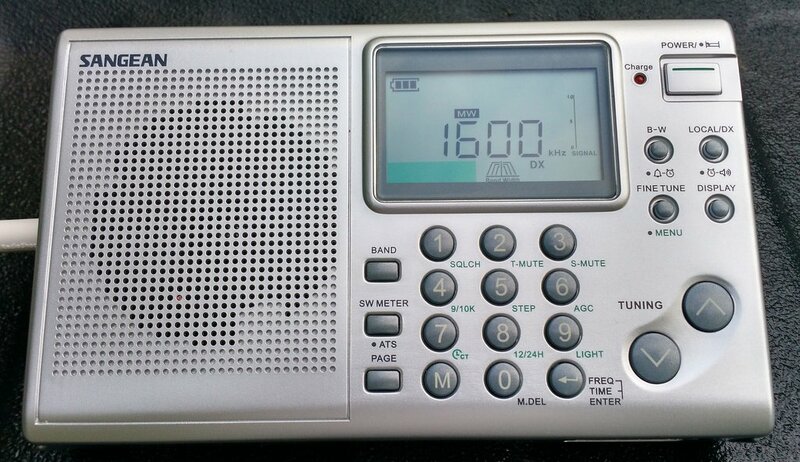 Since I do most of my listening on the shortwave bands, this, too, is a deal-breaker for me. 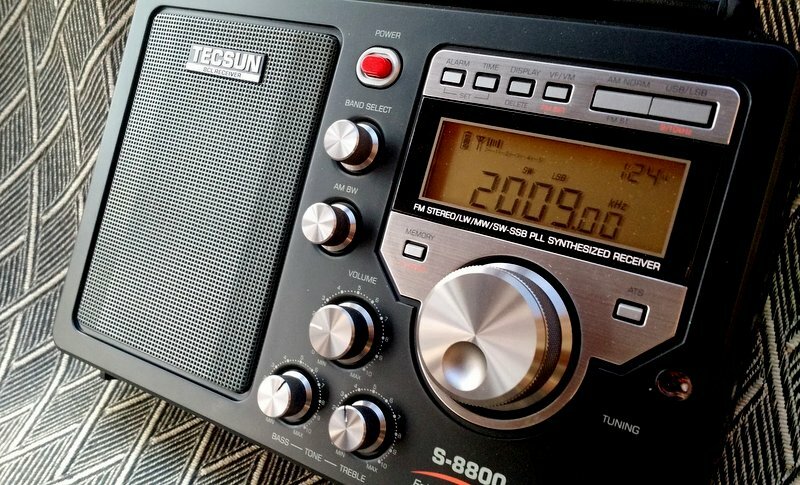 If you primarily listen to stronger shortwave stations, or spend most of your time on the FM/AM bands, then you might still consider the ATS-405. The ATS-405’s selectivity seems to be on par with my other DSP-based portables. In truth, though, band conditions have been so unfavorable, I don’t feel like I’ve had ample opportunity to test selectivity. I’ll likely follow up this initial review with an update. And as on medium wave, the noise floor on the shortwave bands seems a little high to me–especially with the filter set to the “wide” position. While I clearly haven’t been wowed by the ATS-405’s shortwave performance, I have been more favorably impressed with some of its innovative features: specifically, the ability to control squelch, tuning mute, and soft mute. Using the menu button (see image above), you can engage or disengage the tuning mute and soft mute by pressing the “2” or “3” buttons on the keypad, then using the tuning up/down buttons to toggle these features on and off. Squelch works the same way, using the “1” button and volume control to set the threshold. This menu control works regardless whether the radio is turned on or off. Of course, by using the menu button and the keypad, you can also control the ‘405’s tuning steps, AGC, clock, and backlighting functionality; each of these are marked in green next to the appropriate button on the keypad (see image above), a very useful feature. I wish other radio manufacturers would give users the ability to control some of the DSP chip’s built-in functionality, as the ‘405 does with the muting–especially since over-active soft muting has been the downfall of several DSP-based radios. Thanks for trail-blazing, Sangean! Dedicated mechanical switches for keylock, audio tone, FM stereo/mono, and charging. 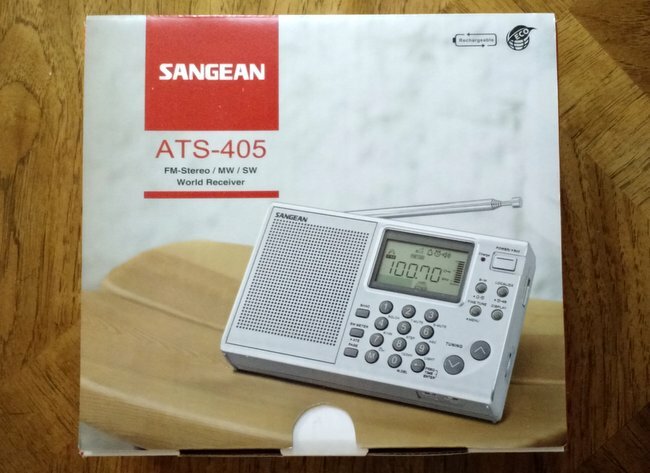 I’m going to hold onto the Sangean ATS-405 for a few more weeks, as I’d like to give it a more thorough test on the shortwave bands. I hope to follow up with a post offering a few representative recordings. My nutshell opinion of the ATS-405 so far is that it’s a decent little radio with a lot of functionality and features for a rig in its price class. But overall, its performance seems to me rather mediocre. If you primarily listen to FM, you’ll be pleased. If you’re a mediumwave listener, you’ll be pleased only if you don’t mind the 800/1600 kHz DSP birdies. 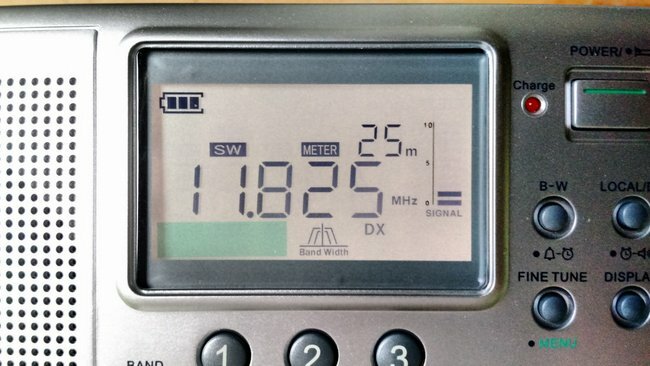 If you’re primarily a shortwave listener, you’ll need to carry a clip-on wire antenna to bring the sensitivity up to the level of similarly-priced receivers. In short, I do want to like this radio unreservedly. But it appears that Sangean may need to pull up its socks on their quality control. Readers: please comment if you’ve purchased the ATS-405–I’m very curious to learn whether there are QC discrepancies in performance from one unit to the next. PLEASE NOTE: After publishing this following review, Sangean kindly agreed to dispatch a second unit for comparison. Click here to read my update to this ATS-405 review. Follow the tag ATS-405 for updates. 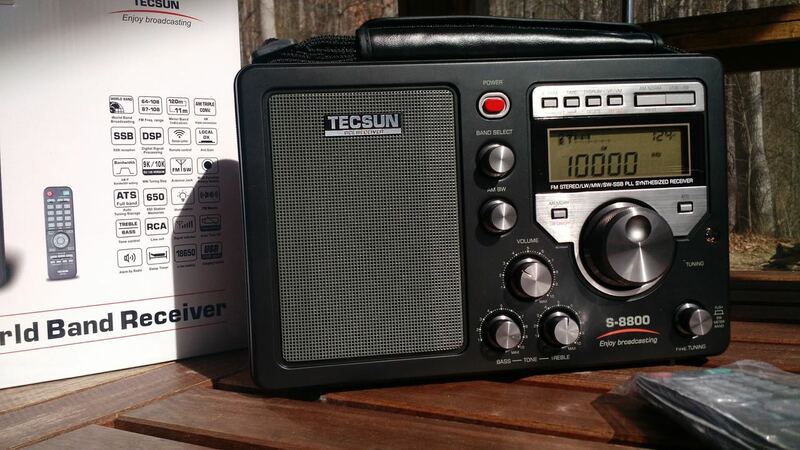 Many thanks to Universal Radio for supplying this radio, on loan, for review! 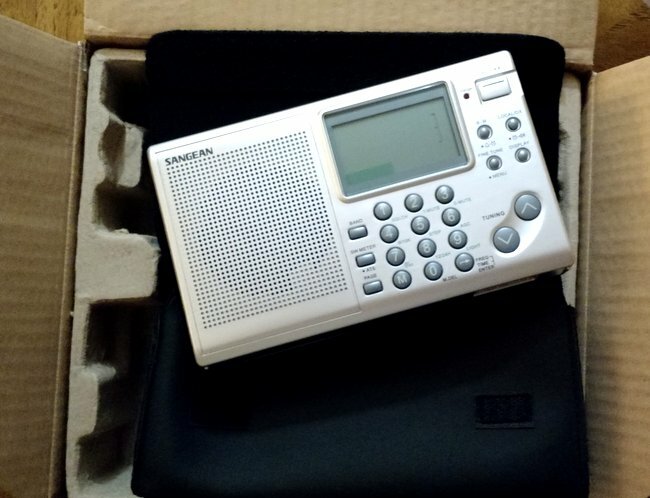 This entry was posted in AM, FM, New Products, News, Portable Radio, Radios, Reviews, Shortwave Radio, Shortwave Radio Reviews and tagged ATS-405, Birdies, Radio Reviews, Reviews, Sangean, Sangean ATS-405, Sangean ATS-405 Review, Shortwave Radio Reviews on July 25, 2015 by Thomas.